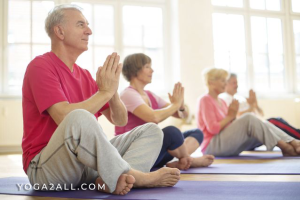 What Are the Benefits of Yoga for Allergic Rhinitis? What Is Yoga And What Are Its Benefits for Allergy? Yoga is one of the best forms of exercise. Nowadays, yoga is widely practiced for the purpose of health and relaxation. Yoga can be the best way to improve your healthy life. Yoga includes breathing exercise or breath control, simple meditation, yoga asana or postures etc. When we talk about yoga, some questions certainly pop in our mind up. What is yoga? Is yoga a philosophy or a religion? According to Isha Foundation, yoga is ‘union’. It is combined with various yoga postures, but better to say it is a union of your body and mind. Yoga can give you many benefits or the benefits of yoga are diverse. It is up to you which yoga pose you like to practice and for which ailment. If you are a person like me who want to practice yoga for better health, wellness and complete body and mind connection, then you should practice yoga along with Pranayama and Meditation. Let us see some important benefits of yoga, later we will discuss yoga for allergy/yoga for allergic rhinitis, which is the main focus of this blog post. Yoga improves your flexibility and builds muscle strength. Yoga prevents cartilage and joint breakdown and protects your spine. Yoga helps boost your bone health and increases your blood flow. It drains your lymph and improves immune function. It ups your heart rate and drops your blood pressure. It regulates your adrenal glands. Yoga helps you focus and makes you happier. It relaxes your body and mind and improves your balance. Yoga is good for sleep and brain function. These are some common benefits of yoga, for more yoga benefits, you can click the link and know more. Here, we have discussed some benefits, besides there are many that help prevents and cure various yoga for ailments. An allergy or allergen is an otherwise harmless thing which causes an allergic reaction. It is sometimes called allergic rhinitis or hay fever, is nothing but an allergic rhinitis response to particular allergens. Many times allergy occurs in human or other animals’ body due to the change of seasons. Pollen is one of the most common allergens in seasonal allergic rhinitis. Nowadays pollution in the environment, the increase in stress level and nutrient deficiency make human and other animals immune system weak. This causes of nervous as well as respiratory system hypersensitive and sometimes allergic rhinitis. Normally, when an individual is it human or other animal inhales an allergen, it sits in the nasal passages. It causes inflamed, then the immune system starts producing histamines in response to the allergen that causes a runny nose and or itchy eyes. Many specialists believe that relaxation exercises, exempli gratia, yoga can help diminish the intensity of allergy symptoms. Here are some of the most important yoga for allergy that provides relief to those who are suffering from allergic rhinitis. These yoga for allergy with the alternative nostril breathing provide relief from allergic rhinitis symptoms and helps improve your energy. Yoga along with breathing exercise not only help you with the allergy problem but also improve your nasal congestion. Previous Article What Is Yoga And What Are Its Benefits for Abs? Next Article What Are the Benefits of Yoga for Anxiety? 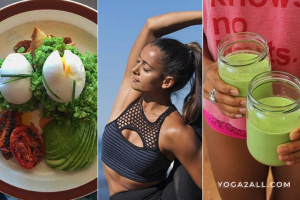 What You Should Know About 3 Yoga Diet Patterns? What Is Yoga And What Are Its Benefits for Abs? How to Practice King Dancer Yoga?